Cloudy mahogany color. Toasty, grainy aromas of toasted raisin bread, chocolate, and roasted nuts with an crisp, finely carbonated, dry-yet-fruity medium body and a sleek, charming, medium-length grilled romaine, dried fruit, and pepper finish. A crisp, well balanced amber ale with a nice grainy backbone. 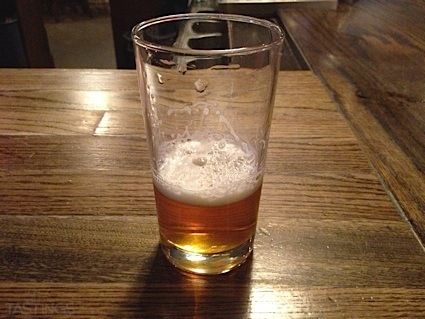 Bottom Line: A crisp, well balanced amber ale with a nice grainy backbone. 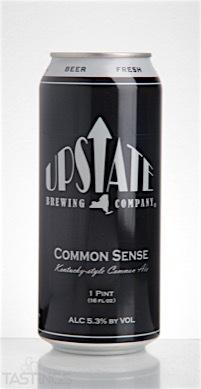 Upstate Brewing Company "Common Sense" Amber Ale rating was calculated by tastings.com to be 90 points out of 100 on 2/29/2016. Please note that MSRP may have changed since the date of our review.